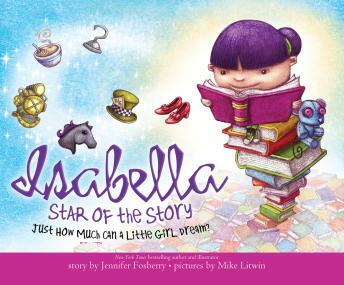 Isabella: Star of the Story: Just How Much Can a Little Girl Dream? An everyday visit to the library becomes an unexpected adventure through the pages of classic children's book favorites! Like Goldilocks, Isabella searches for a book that is juuust right. Should she host a silly tea party in Wonderland with the Mad Hatter? Take a Technicolor trip through Oz with the Cowardly Lion? Or have a swashbuckling good time with the Lost Boys? Join Isabella as she imagines herself in the starring role of these beloved stories and discovers the extraordinary power of reading. Anything is possible between the pages of a good book!